Fingerlix founder-director Shripad Nadkarni (right) speaks to VCCircle editor-in-chief Archna Shukla at the Food & Agri Summit 2018. 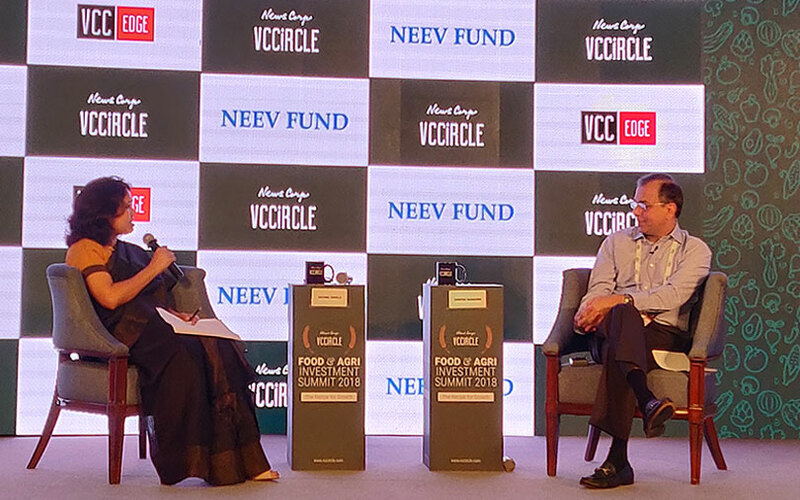 Brands need to localise their solutions as the Indian market is evolving differently as compared to most global peers, said Shripad Nadkarni, brand consultant and founder of food venture Fingerlix, at News Corp VCCircle’s Food & Agri Summit 2018 on Thursday. In an interaction with VCCircle editor-in-chief Archna Shukla on the ‘Recipe for Brand Building’, Nadkarni said that Indian brands need to figure out pain points for consumers and try to solve them. "Most brands are just picking up stuff from the West and riding a trend here,’’ Nadkarni said. Nadkarni previously served as the marketing head at beverage giant Coca-Cola and has worked with several other multinational companies. In 2016, he started his own venture called Fingerlix which sells ready-to-cook products such as curries, mixes and batter. Nadkarni told the gathering of 150-plus delegates that Indian consumers were skipping certain categories in the packaged food segment. For instance, he felt Indians have passed up the frozen food category in this segment. Nadkarni also said that the ready-to-cook category would give way to ready-to-eat products. While data has helped companies drive up margins and understand consumers better, Nadkarni said, several niche brands targeting a smaller set of consumers will still find it tough to scale. “It will take an enormous amount of effort to scale... people still don’t want to pay beyond a certain amount,” he added. Nadkarni cited the example of Hector Beverages’ Paper Boat brand of soft drinks, which he said was struggling to scale last year. This year, the company has launched an allied brand at a lower price point in rural markets which has resulted in an uptick in revenue, he added.